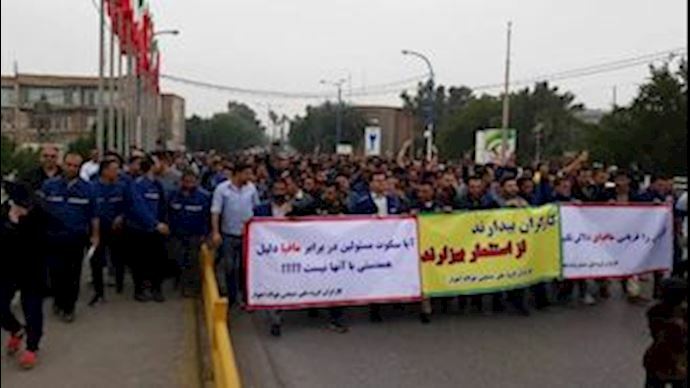 The workers of the Ahvaz steel factory have been demanding the payment of their overdue salaries for months. The lives of thousands of workers and their families have been negatively impacted by the by the deteriorating working conditions at the factory and the corrupt practices of its administrators. Having received no concrete response from the government, the workers began a new round of strikes and protests three weeks ago. The Iranian regime has tried to dissuade the workers from continuing their protests by different means. The regime’s authorities have also issued threats against the protesters and tried to associate them with foreign meddling. But for the workers of Ahvaz, who have been deprived of their most basic rights, the threats of the regime are sounding increasingly hollow. 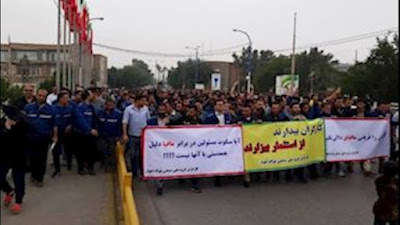 The workers continue to take to the streets day after day, and they are earning a growing support among different classes and communities in the Iranian society and across the world. The workers are also directly targeting the highest authorities of the regime in their slogans. In their slogans, the workers were criticizing the regime for abusing its religious authority to plunder the wealth of the people. The workers were chanting, “They speak of [Imam] Hossein but they take pride in thievery.” Hossein, the third Shiite Imam and the grandson of the Prophet Mohammed, is one of the symbols of Shiite Muslims. As the protesters moved across the city, many other Ahvaz citizens joined them and expressed their support for their demands. Iranian authorities are reluctant to directly confront the workers with force. 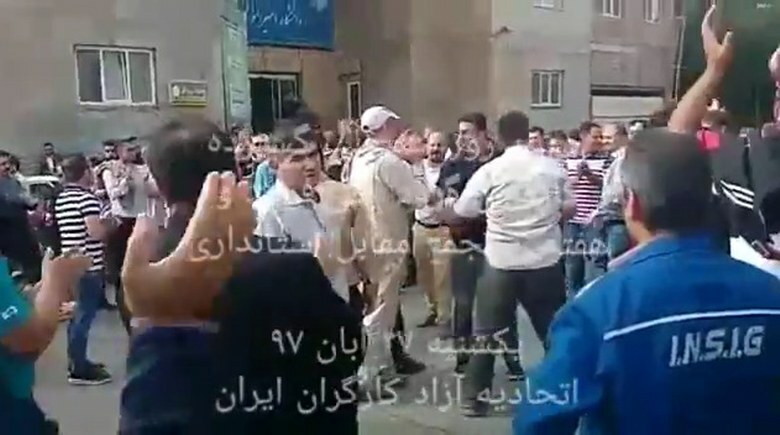 On Saturday, a number of Iranian regime plainclothes agents were present among the protesters but were afraid to take any action. After nationwide protests erupted in Iran, the regime’s attempts to quell protests through violence have resulted in a direct confrontation between protesters and security forces. The Iranian regime is finding itself increasingly incapable of containing the rage and dissatisfaction of the Iranian people. Meanwhile, protests by workers, teacher, drivers, students and other strata of the Iranian society are picking up steam and momentum.